Australia's first Cittaslow Town, Goolwa was once a thriving river port – the last on the Murray River before it reached the Southern Ocean. Today, Goolwa offers a steam-to-steam experience with PS Oscar W, a 100 year old authentic paddle steamer, and the Cockle Train, a steam train journey. 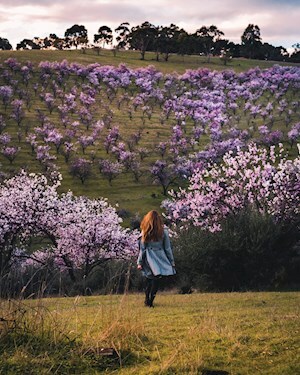 The town still has many historical features, its present day life is as a busy regional centre with great pubs, a microbrewery, restaurants and cafés, and is a popular gateway to the Coorong National Park and the lakes system at the mouth of the Murray River. History overlooked Goolwa for a century or so, leaving it with a subtle, unpretentious beauty and many wonderful old sandstone buildings dating back to the 1850s. The Goolwa State Heritage area surrounds the Goolwa Visitor Information Centre, which should be the starting point for any visitor wanting to learn more about the town and its many attractions, as well as its colourful river port history and the Ngarrindjeri culture of the region. Explore the local waterways by taking a cruise on the lower Murray River on an authentic 103 year old paddle steamer or an eco-cruise into the Coorong. Australia's oldest railway, commissioned in 1854, still runs a historic passenger service between Goolwa, Middleton, Port Elliot and Victor Harbor. Goolwa also fronts the Southern Ocean where a sand dune boardwalk provides great views and cocklers gather pipis or cockles (a mollusc) on the beach. This beach can also be reached by 4WD (take note of tide times and warning signs at Goolwa Beach) and is a popular surf spot. In it's heyday, Goolwa was the only place in Australia where paddle steamers and steam trains met to carry produce inland for shipping overseas. 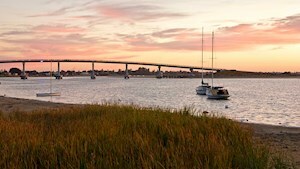 See what people are posting about Goolwa.